Rolf Horn‘s work caught my eye when I was recently poking around on the Soulcatcher Studio website. I had been looking at the Paul Caponigro images that they have displayed there and decided to spend a few moments looking at the work of some of the other artists that they represent. 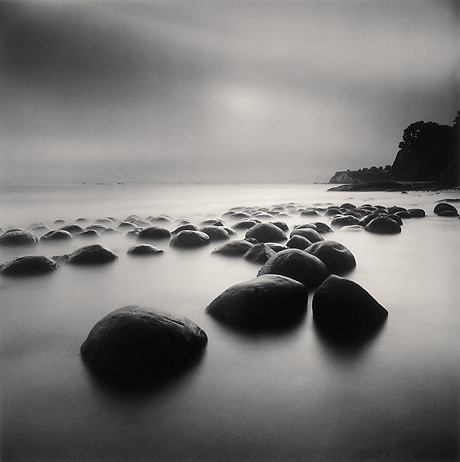 Rolf’s square black and white images, often long exposures, are reminiscent of the work of the other photographers that I enjoy – especially Michael Levin, David Fokos and of course Michael Kenna. I perhaps shouldn’t have been surprised, although I was, to find that Rolf had worked as Michael Kenna’s assistant for a while. Like Kenna, Rolf uses medium format cameras (Hassleblad) and film for his work, producing silver gelatin prints. He is very much committed to this mode of photography, in fact if his comments regarding digital photography in this Black & White article when taken at face value are quite inflammatory – ‘thems fightin’ words’ as we would say where I grew up. In addition the Black & White magazine feature, Rolf’s photography has been featured in a number of other magazines. A full listing can be found here. Rolf’s website is well worth exploring, there a large number of his completed bodies of work to dig into. What I find interesting is that some of the portfolios date back to the early 1990’s and so as you look through it’s interesting to track Rolf’s aesthetic evolution. 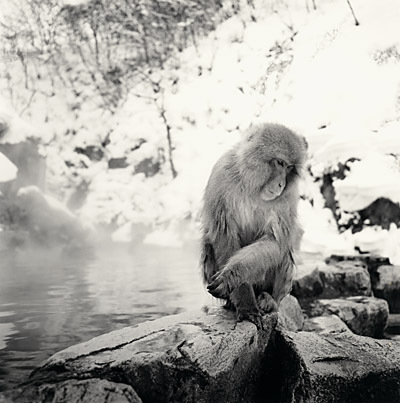 His most recent work has a quiet energy that I particularly enjoy and I have to say it – his snow monkey picture (below) is one of my favorites to date.